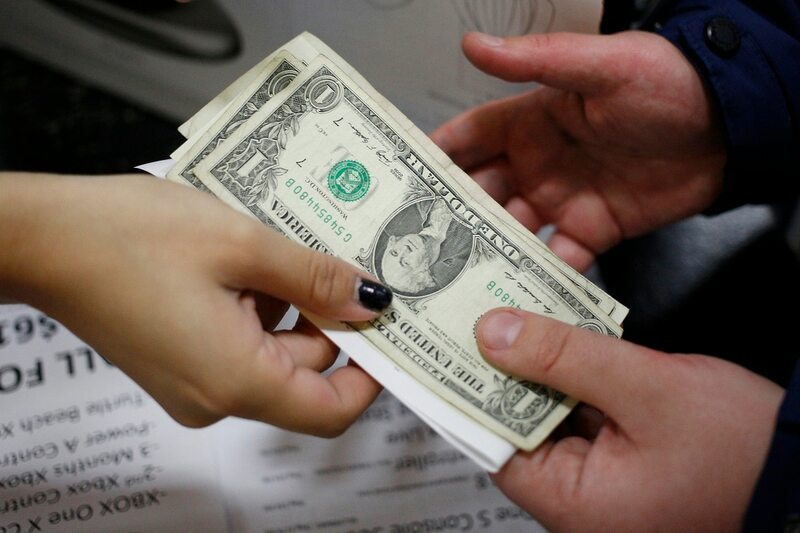 On the third day of the daily auction system's effectiveness USD 60 million in the account and orders of the Treasury, the dollar is negotiated with a falls by 0.9% in banks in central Buenos Aires, after the central bank announced important changes in its exchange rate program. In Banco Nación, there is a consensus of 41 pesos for purchasing and 43 pesos for sale, with a drop of 40 cents. At MULC (Single and Free Exchange Market) the dollar wholesaler it remains 42.05 pesos. In 2019 the value of the North American currency advance 11.5%a speed lower than inflation of the period, which accumulated 11.8% between January and March. On the one hand, and in line with the goal of having extended the target for "zero" growth of the monetary base until the end of the year decided to set the lower and upper limits for "Non-interventionszon" would change until the end of the year 39.75 and 51.45 pesos, respectively. On the other hand, he decided refrain from buying foreign currency until next June 30, if the dollar falls below the lower limit of the free float band. In addition, the central bank retained the reference rates, the liquidity bills (LELIQ), at an elevated 66 792% annually.